Having a straight and perfectly aligned smile can improve your dental health as well as your sense of self. That may explain why so many patients at our Mountain View, CA practice have asked about Invisalign®, an alternative to traditional braces. 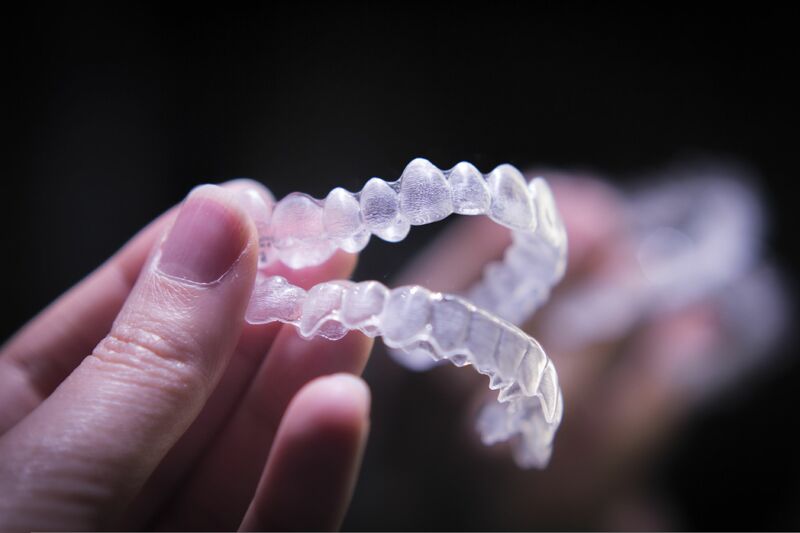 Rather than using brackets and wires, Invisalign® relies on clear plastic aligner trays. For people who have just slightly crooked teeth, there is a new type of Invisalign® to consider called Invisalign® Express. Let’s go over the basics and benefits of Invisalign® Express and how it differs from traditional Invisalign®. Invisalign® Express is an alternative to traditional Invisalign® treatment designed specifically for people with just minor tooth misalignment issues. Working in just a fraction of the time as traditional Invisalign®, Invisalign® Express can give you a straight and beautiful smile, enhancing smile aesthetics and overall dental wellness. Invisalign® Express works just like traditional Invisalign®. Patients receive a computer-designed aligner tray that they wear at all times except for when eating, drinking, or cleaning their teeth. Overall, that means wearing a tray for about 22 hours a day. After two weeks, a patient discards their current aligner tray and switches to the next one in the sequence. The pattern repeats through the course of treating, with each subsequent tray helping adjust and improve the alignment of the patient’s smile. Invisalign® Express treatment usually takes half of the time for traditional Invisalign®, and sometimes less. In traditional Invisalign®, patients generally receive 20-30 aligners during the course of treatment. By contrast, Invisalign® Express patients will only need 10 aligners, and sometimes fewer. During the consultation process, we can discuss your candidacy for Invisalign® Express and also discuss any alternative treatments that may be better suited to meet your needs. For non-candidates, traditional Invisalign®, traditional orthodontics, or even porcelain veneers may be a more ideal option. Since there are fewer Invisalign® Express aligners required for treatment, the overall cost of Invisalign® Express is lower. The exact cost of treatment can be discussed during the consultation process. If the cost of Invisalign® Express is a financial burden, we can discuss various payment plans and and financing options that can put treatment within your reach. The overall results of Invisalign® Express are great, allowing patients to smile with renewed confidence and experience all of the benefits of a perfectly aligned smile. Since Invisalign® Express does not interrupt normal routines or your diet, patients are very satisfied with the simplicity and convenience of treatment. For more information about Invisalign® Express and whether or not it’s right for you, be sure to contact an experienced cosmetic and restorative dentist. Jean E. Barthman, DDS will work with you to ensure your smile looks great and is perfectly aligned.